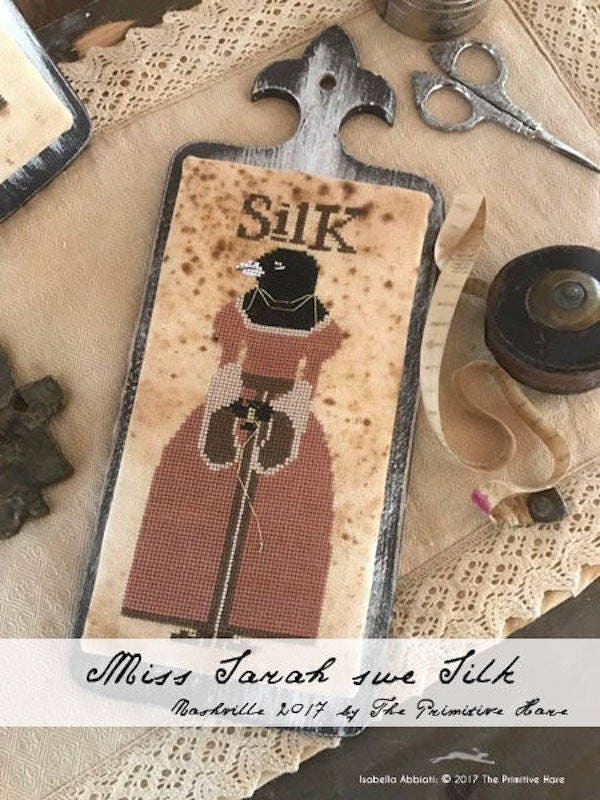 Cross Stitch Pattern called "Miss Sarah Sue Silk", by Isabella Abbiati of The Primitive Hare. Stitched on one standard cut of "Salem" Linen 30 count. Design by Primitive Hare from Italy.